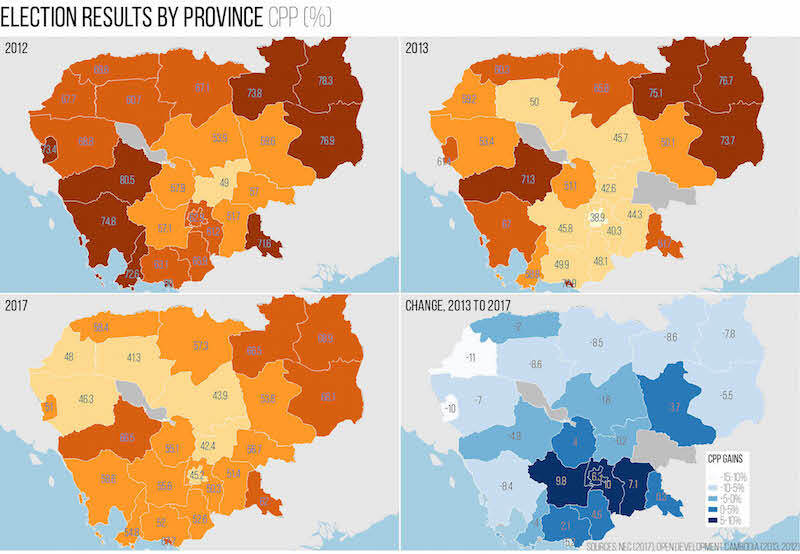 Making the wrong choice in the upcoming commune election will invite poverty, suffering and fear, CNRP President Kem Sokha warned yesterday, as ruling party officials continued to describe a vote for the opposition as a vote for war and social unrest. On the campaign trail ahead of the June 4 vote, Mr. Sokha told hundreds of supporters in Kompong Chhnang province that the stakes for the election were high. The CNRP, on the other hand, developed policy from the grassroots and will “eliminate corruption from the top to the bottom,” he pledged. The ruling party has employed similar tactics. In the weeks leading up to the campaign period on Saturday, Prime Minister Hun Sen repeatedly claimed that casting a vote for the opposition would encourage social upheaval and even civil war. CNRP President Kem Sokha and opposition spokesman Yim Sovann ride atop a truck during an election rally on Saturday, in a photograph posted to Mr. Sokha’s Facebook page. The warnings are a regular theme for Mr. Hun Sen, even outside of election season, and have been taken up with zeal by ruling party officials, with Defense Minister Tea Banh threatening last week to smash the teeth of anyone who dared demonstrate against election results. Saturday’s start to the election campaign has led to a fresh batch of similar talk from other party members. Mr. Eysan denied that the ruling party was trying to scare voters. CNRP Vice President Mu Sochua also denied that Mr. Sokha’s speech was designed to instill fear. 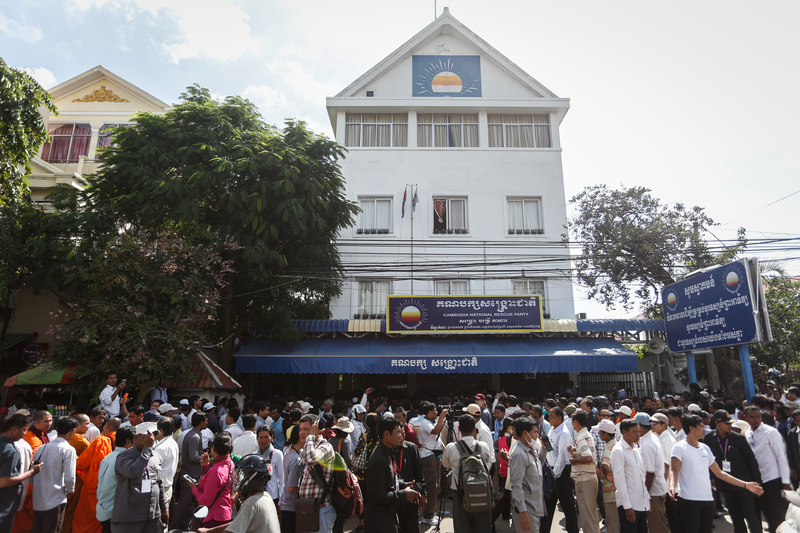 “There’s no threat at all,” she said, adding that Mr. Sokha was simply drawing attention to facts on the ground. 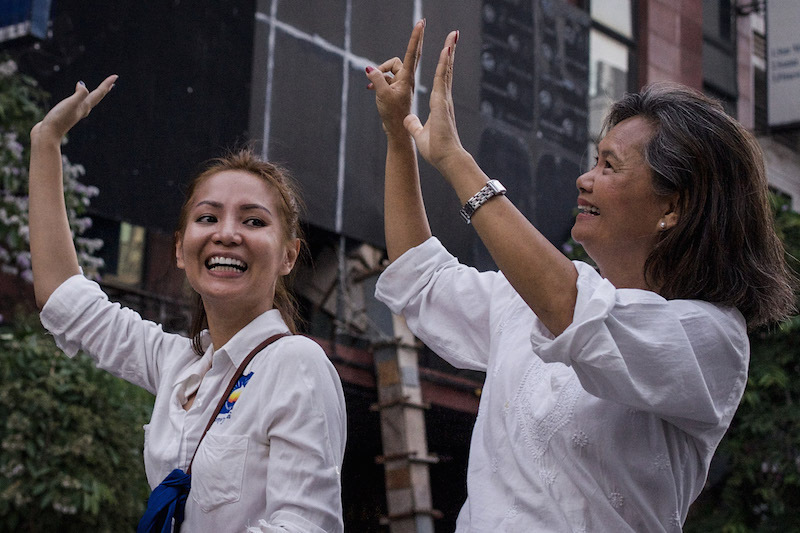 Political analyst Meas Nee said the CNRP was likely trying to find a way to counter the CPP’s fiery language without running afoul of election laws prohibiting insults. 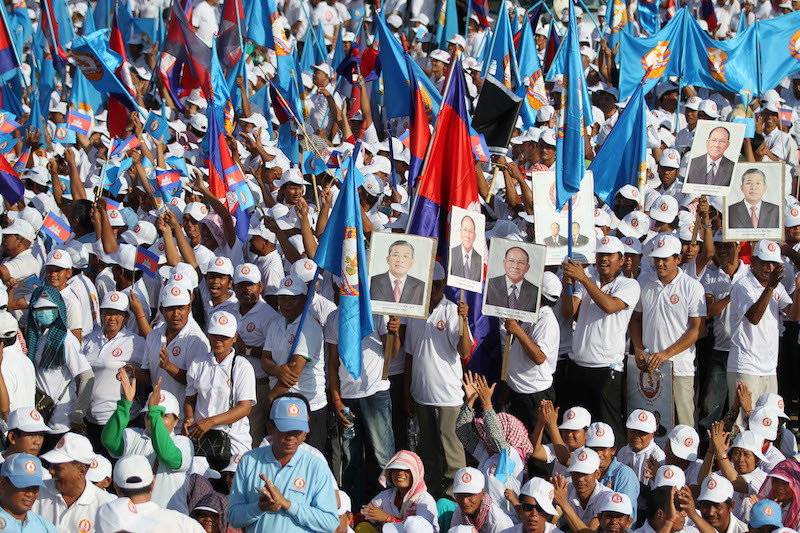 “They cannot say anything against Hun Sen like in previous elections,” he said. In spite of the CPP’s heated tone, Mr Nee said the ruling party had yet to use the more overt shows of force such as tank or soldier movements through Phnom Penh that it had done for past elections. “I have also observed that this election campaign seems to be carried out peacefully,” he said.